Communications specialist, Spalding Hurst, and Jean West are visiting Sisters and Associates in Botswana for two weeks to hear stories and capture video of the ministries there. Included in her vast experience in communications, Jean West, a longtime friend and supporter of the Sisters of Charity of Nazareth, has over 25 years of experience as a news anchor and reporter in Louisville, Kentucky as well as internationally. 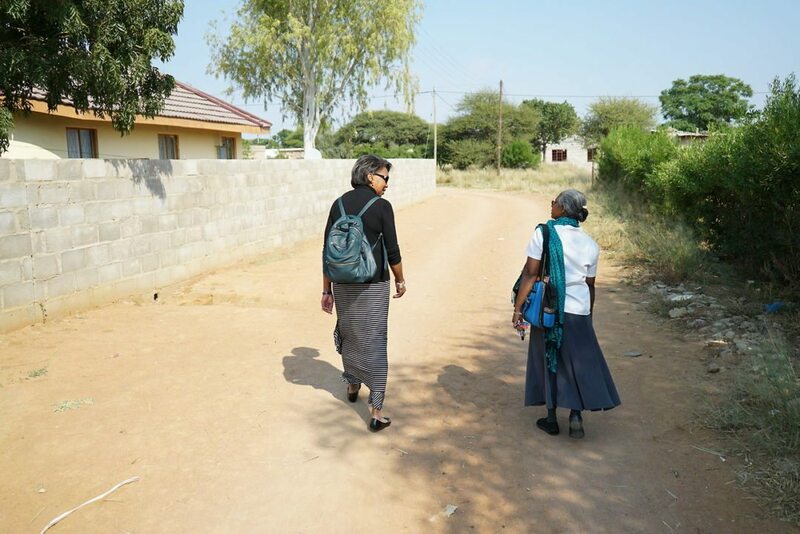 Above, Jean West and Sister Vinaya talk as they walk to the Pabalelong Hospice in Metsimotlhabe.